Fill out our simple form and get quotes from local fire engine limousine suppliers. Fire Engine Limos are a great alternative to the classic limousine. 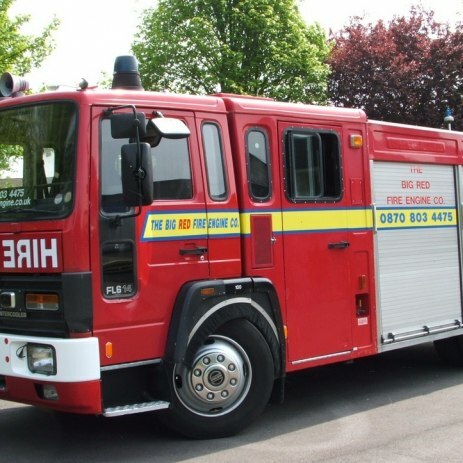 Arrive in style in a real decommissioned fire engine, great for any event! For more details about Fire Engine Limo hire, view our suppliers below or click for a free quote. For Fun Hire with a difference, consider hiring our Big Red Fire Engine limousine. Game for an unforgettable transport experience? Let us light the spark to your special evening. Fire Engine Limos are too hot to handle! To find out more about Fire Engine Limos in your area, please use the quote request form.